Nebraska is in line to get a $36.2 million refund from the federal government as part of a lawsuit that said a fee on the state's Medicaid program was unconstitutional. Nebraska is one of six states that will receive a combined $389 million back from the Internal Revenue Service after a federal judge in Texas sided with the states. Attorney General Doug Peterson said Wednesday he was pleased with the ruling. "The federal government is not able to tax the states because of the unconstitutional constructs of Obamacare, and the portion illegally collected from Nebraska should be returned to our state," Peterson said, referring to the common name for the Affordable Care Act. Nebraska, Kansas and Wisconsin joined the lawsuit that was initially filed by Texas, Kansas and Louisiana in October 2015. Under an Obama-era regulation, the states were threatened with a loss of Medicaid funding unless they paid a portion of a health insurance providers fee to help pay for the Affordable Care Act. It's not clear whether the federal government will appeal the ruling. Indiana is expected to receive a $94.8 million repayment, Kansas is expected to get $142.1 million, Louisiana is expected get $172.5 million, Wisconsin is expected to get $89 million, and Texas is expected to get $304.7 million. 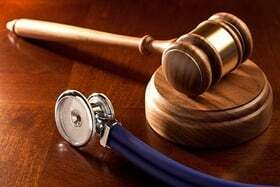 The lawsuit, led by Texas, argued that the Affordable Care Act didn't give clear notice to states that the fees would be required to continue receiving federal money for Medicaid and the Child Health Insurance Program.